I just added two new items to my shop. These were inspired by an image the writers of Rogue One shared a few weeks back. 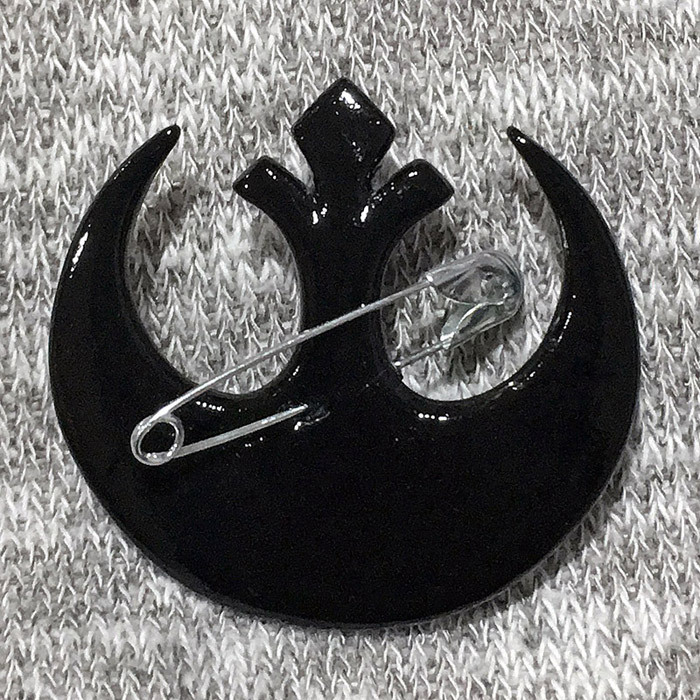 A friend asked me to make her one, and I figured other people might be interested too! 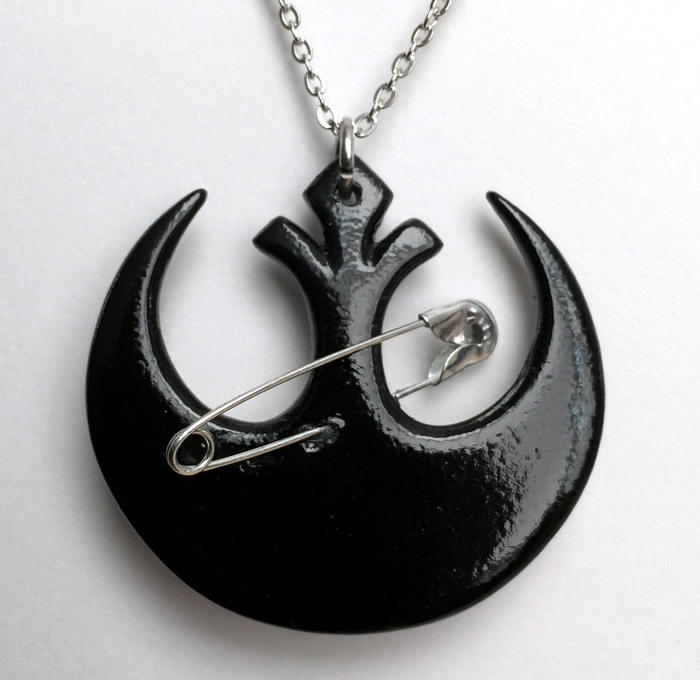 The Rebel symbol is about 1.5″ tall and wide and is available as a pin/brooch and as a necklace.